If you are considering heading to the Wellfleet Oyster Festival on Cape Cod this weekend, here are a list of 10 fun things you can do. 1.Tour an armchair tour of a restoration project. Saturday 10:00 am. Take an ‘armchair’ tour of the flats with Wellfleet Shellfish Constable, Andy Koch, and Anamarija Frankic, lead scientist on Wellfleet's two acre oyster restoration project, professor at Umass Boston. Learn how the oyster reef improves water quality and the critical role shellfish play in a healthy ecosystem. 2. Get your photo taken in the Mass Oyster Cut out. The Mass Oyster Lobster cutout. 3. Compete in Sunday morning's road race. Sponsored by the Wellfleet Recreation Department. Check-in and on-site registration beginning at 7:30 am at Baker's Field Recreation Department. 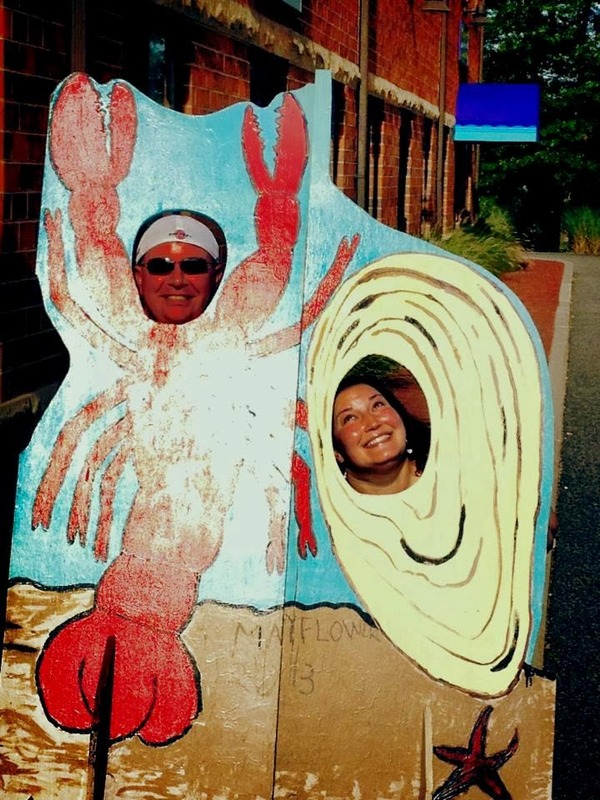 Advance registration form available here or by visiting the Recreation Department, Town Hall, 300 Main Street, by phone 508.349.0314 or email: recreation@wellfleet-ma.gov Watch out for Mass Oyster Director Katie who will be at the front of the pack. 4. Watch the Oyster shucking competition. 5. Volunteer to help out. Located just behind Town Hall next to the SPAT Boutique. Stop by for information, volunteer check-in, registration forms, directions, email list sign up and more. 6. Catch the groundbreaking oyster film Shellshocked. ‘SHELLSHOCKED: Saving Oysters to Save Ourselves' explores the importance and fragility of wild oysters in cleaning water and building ecosystems for other marine life. Today, because of overfishing and pollution, wild oyster reefs have been declared 'the most severely impacted marine habitat on Earth' and no longer play a role in their ecosystems. Now scientists, government officials, artists and high school students are fighting to bring oysters back to the former oyster capital of the world - New York Harbor. By filmmaker Emily Driscoll. Free, no registration required. 7. Tour the historic town. 8. Enjoyed a fried lobster tail! Frying is the wonder preparation technique that makes even dirt takes good. Add the two together and you have a cardboard tray full of awesome mouth happiness. 10.Take home a head full of happy memories!